Go to "Integrations" -> Google Data Studio, and click on the data source link. If this is your first time using Google Data Studio, you will be prompted to do the basic setup. 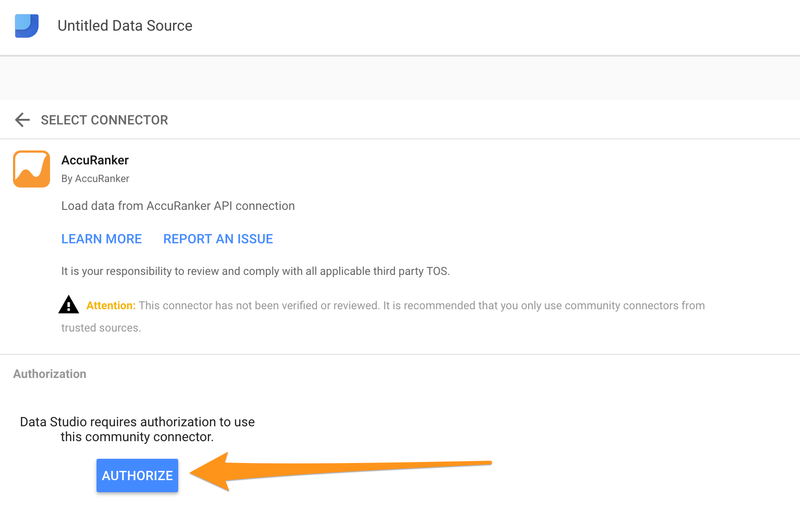 From here, you have to Authorize the use of the Connector and Data by logging in and confirming the action. 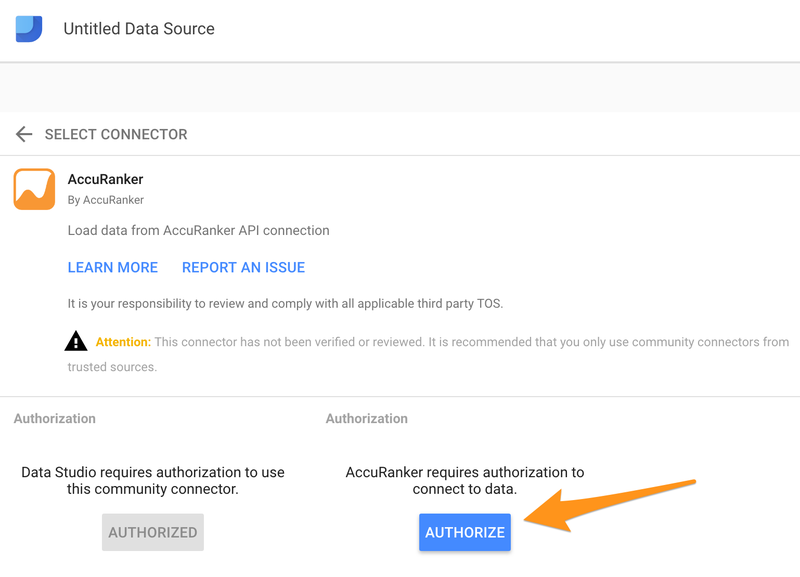 Next you need to allow Google Data Studio to pull data from AccuRanker. Simply log into your AccuRanker account to allow. Once you receive the message: "Success! You can close this tab." you are good to go! The Organisation list, consists of your own account and any Sub-Accounts you may have. Be sure that the domain you choose is in the correct "organisation", otherwise you will get an error message. Once you select which account and domain you want to export from, simply click "Connect". All the fields are added in by fault, so you can safely click "Create Report". If you have not connected Google Data Studio to Google Drive, you will be prompted to do so. Check out also how to Connect to Google Analytics.